On Monday 8 July 2019 (09.30-17.00), in the context of the conference European Bioeconomy Scene 2019, EU-funded bioeconomy communication and awareness raising projects, will jointly host a workshop at the Finnish Ministry of Education and Culture. The workshop will promote the discussion and sharing of best practices and lessons learned through the bioeconomy communication activities. 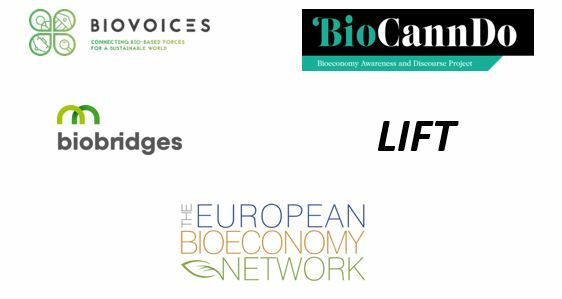 The workshop will be jointly organized by four HORIZON 2020 projects: BIOVOICES (www.biovoices-platform.eu), BioCannDo (www.allthings.bio), Biobridges (www.biobridges-project.eu) and LIFT (envisaged start: May 2019), all members of the European Bioeconomy Network (www.eubionet.eu) which will play an important role in communicating and promoting bioeconomy at local and national level, as stated in the updated 2018 Bioeconomy Strategy. The discussion will address questions like: communication formats and channels; multipliers to be involved; messages and arguments to be used (in terms of style, scope, terminology); etc. It will include an operative session that will focus on supporting the updated European Bioeconomy Strategy through communication activities: action plan, synergies and recommendations to maximise the opportunities and impact of bioeconomy communication at national and European Level. The workshop will bring together EU-funded projects, European platforms and networks, Member States networks, together with quadruple helix stakeholders (Industry/Investors, Research/ Education, Public administration / Policy Makers, and Civil society) dealing with communication and awareness raising on the circular bioeconomy.